Battery technology has improved dramatically over the last few years. And, with it, a proliferation of new devices has appeared on the market. 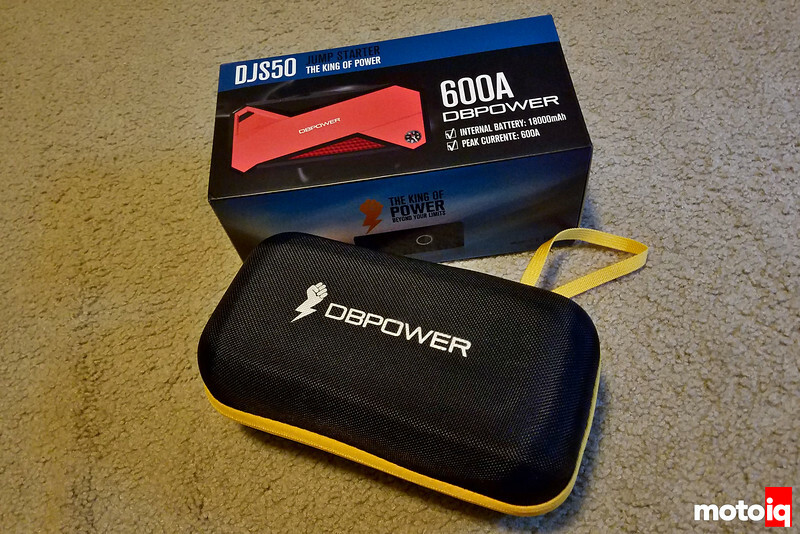 With lighter and more powerful batteries, the jump box / jump starter market has absolutely exploded, and sizes have shrunk markedly. I had two more or less dead old-style lead-acid jump boxes in my garage, and wanted something that I could keep (easily) in my car at all times. I figured I would give one of these new-fangled, lightweight jump boxes a try. I picked this particular unit because it was inexpensive, claimed to start most of my cars, and had quite a few good reviews. These jump boxes are all rated in engine displacement, which I guess makes sense. But it also leads me to believe that the amp capacity ratings are somewhat bogus. Or not. Either way, I figured I would give this one a whirl. 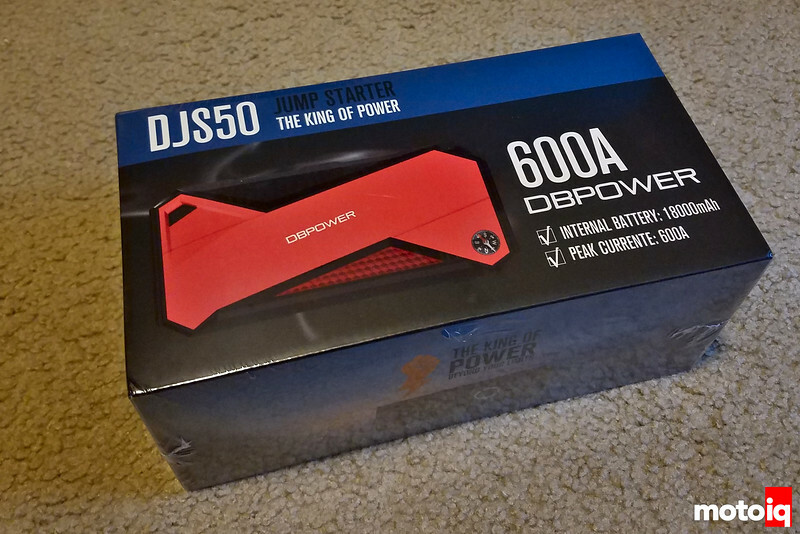 For $69.99 shipped via Amazon Prime, what harm could it do? What I didn’t epect was for the jump box to come in a nice little “hard” clamshell carrying case. This would certainly make it easy to keep all of the little doodads and doohickeys that it comes with neat and tidy. 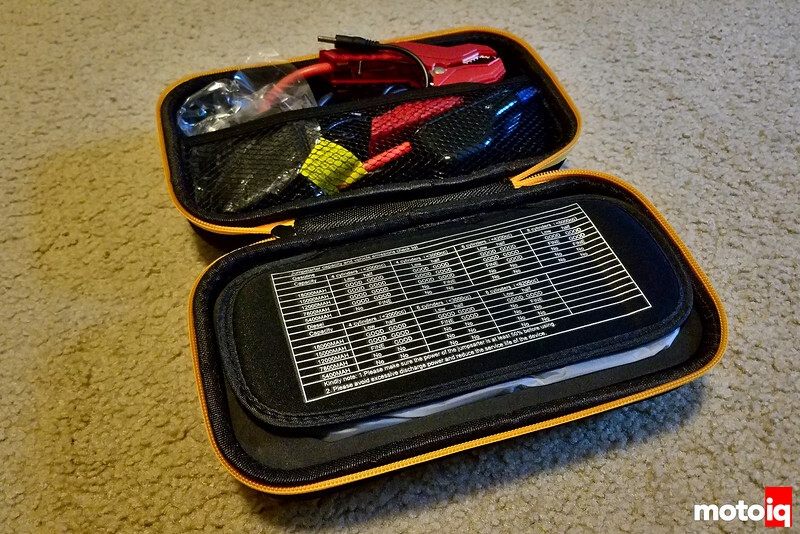 When you first open the carrying case you see all of the components nicely organized inside, with the actual jump box in its own compartment. Good luck getting everything back in here, though. Some serious Tetris skills are required. These are really handy for a ton of reasons. Great for testing circuits, and when you need to get 12V somewhere. I use it directly on the starter motor sometimes. 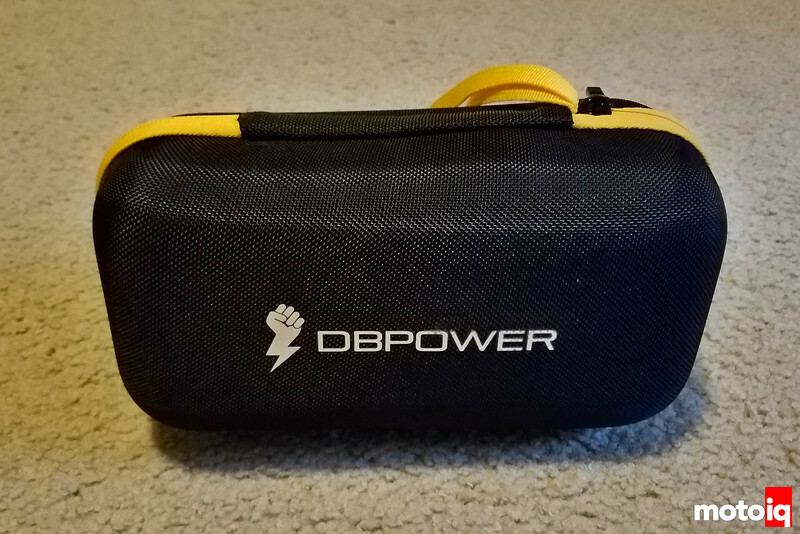 I never even thought about using it as a small portable 12v source for auto wiring/electronic work. That’s an AMAZING suggestion.